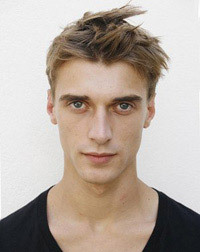 Clement Chabernaud was born in Paris, France, on November 6, 1989, is a French male model. He began his modeling career at age of sixteen. He made his catwalk debut for Dior Homme fashion show in Paris (2005). Long time highly ranked on Supers and Top Icons Men List by models.com. Becomes the face of Jil Sander in 2006. Clement's hobbies are badminton, basketball, rugby and biking. He dated dated model Alejandra Alonso (2011-2014). Lui France, Vanity Fair France, DSECTION Covers, Summerwinter Cover, L'Officiel Hommes Turkey, WSJ, Harper's Bazaar Thailand Men Covers, L'Officiel Hommes Covers, GQ Germany, Details Cover, GQ Style Turkey Cover, Vogue Hommes Cover, L'Officiel Hommes Italia, El Pais Icon Magazine Spain, Vogue Paris, Vogue Italia, Rollacoaster Covers, Harper's Bazaar China, V Magazine, FHM Collections China, Esquire Spain, Interview Russia, GQ Australia, Flaunt, Elle Men Mexico Covers, 10 Men, Arena Homme +. Beymen, Kenzo, Bally, Hugo Boss, Massimo Dutti, Theory, Lucky Brand Jeans, Gap, Neiman Marcus, Selected, Bally, Mango, H&M, Ports 1961, Filippa K, Trussardi. Walked runway for Giorgio Armani, Fendi, Canali, Bottega Veneta, Philipp Plein, Dolce & Gabbana, Lacoste, Daks, Tom Ford, Berluti, Corneliani, Prada, Salvatore Ferragamo, Perry Ellis, Tommy Hilfiger, Wooyoungmi. Represented by agencies Wilhelmina New York, Success Models Paris, FM Agency London, d'management group Milan, Sight Management Studio Barcelona. I like to study, listen to music and go to concert. Also sports like skying biking, badminton and rugby. I also like doing nothing sometimes. I wear the clothes I get from the jobs I've done mainly. Don’t spend your life waiting for the storm to pass, learn to dance in the rain.